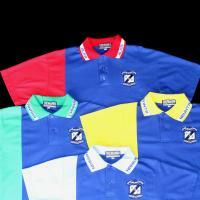 Coloured house polos playing on a central theme. 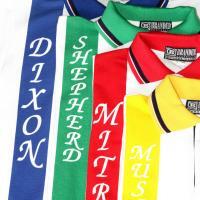 House polo shirts need to strike a balance between being distinctive colours and looks while remaining consistent with each other and the school image as a whole. Branded has long experience tackling this challenge and producing great-looking house shirts for schools across the country. We sit with each client and work from the ground-up, identifying fabrics, designs, finishes, colours and trims that work for their exact needs. 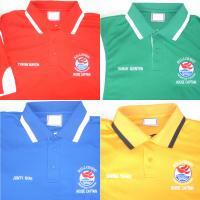 We offer simple off-the-shelf polos in the classic house colours (red, blue, green and yellow) and highly customised designs featuring integrated sublimation and school colours. Take a look at some of our previous house shirts below, but contact us to start talking through how we might be able to help you.